I recently posted about Santa's habit of adding an ornament to our tree. Look! 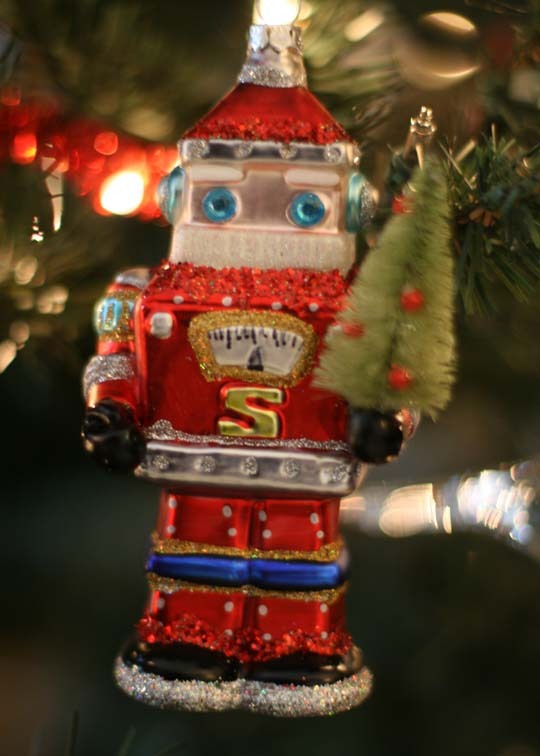 He did it again ... that's one cute Robo-Santa!